A budget-friendly place with a garden setting in the back and an in-house restaurant. 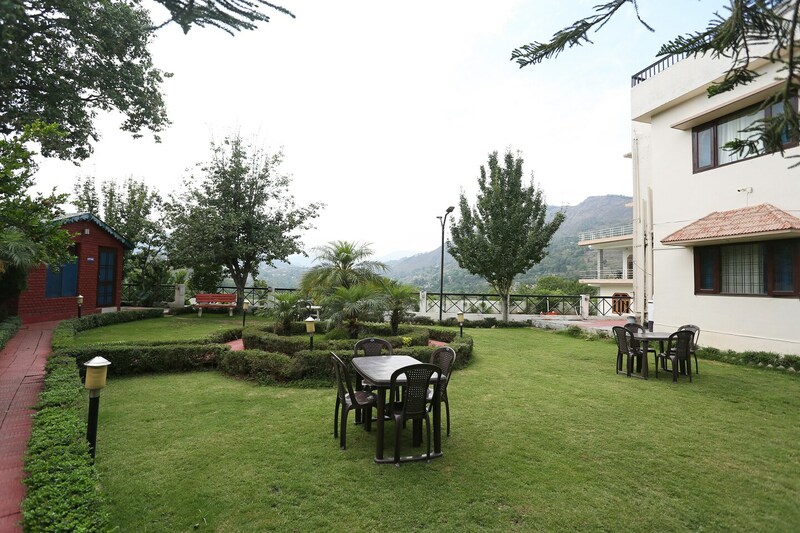 Having a beautiful garden that overlooks the scenic view and nice interiors, Alinda Guest House is an ideal place to spend your trip in Nainital. The rooms are minimalistic and homely with wooden ceiling, wooden furniture, bright curtains, and pretty lamps. Fully furnished with all essential amenities, the rooms are really spacious, super clean and well-lit. The bathrooms too are pretty, clean and well-equipped. The property boasts of having many other facilities like parking space, laundry service and free wifi. The in-house restaurant is in the garden where you can savor delicious meal and at the same time enjoy a beautiful view of the hills.